Welcome to ‘Camel Country. 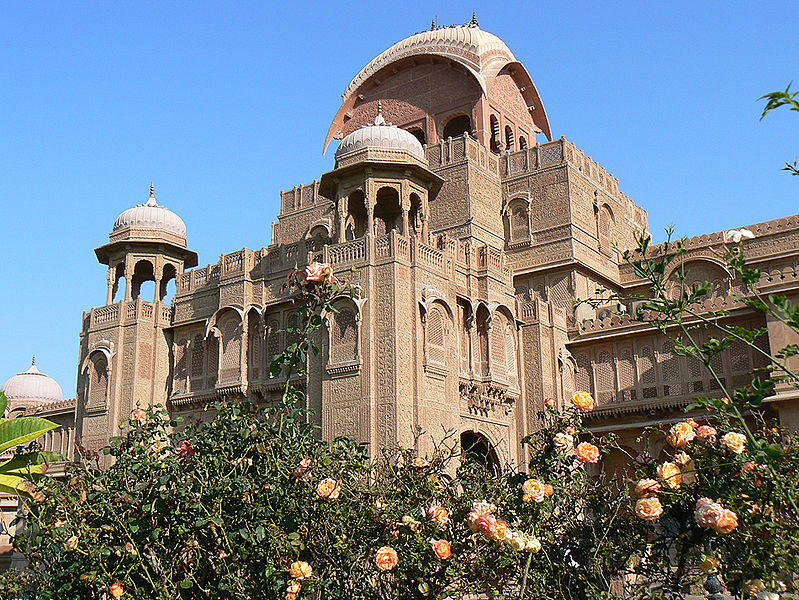 Bikaner is a charming city of reddish-pink forts, sand dunes and colourful attires. It was founded in 1488 by Rao Bika, the second son of the King of Jodhpur. As the second son, he could not inherit Jodhpur or the title of Maharaja. So he built his won kingdom at Bikaner. The city had abundant spring water and served as an oasis on the trade route between Central Asia and the Gujarat coast. In 181, the then King of Bikaner signed a treaty with the British and acknowledged their supremacy. However, in-fighting erupted between the rulers of Bikaner and Jodhpur and was ceased only on British intermediation. Bikaner is famous for its imposing architecture and delicious snacks. 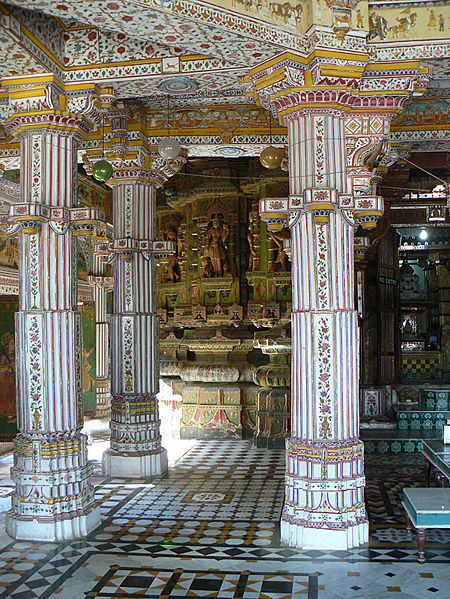 Its intricately carved Jharokas are a big hit with the tourists. These are red sandstone stone screens and are commonly found on the windows of Bikaner’s forts, temples and havelis. As for snacks, savouring Bikaneri Bhujia is a must for any food lover. Made from pulses, spices and edible oil, it has a delicious spicy flavour. Bikaner’s handicrafts are world renowned. It is also a major hub for leather articles as it home to Asia's biggest camel farm. Bikaner’s culture is every bit as colourful as its history. It is the centre of Usta Art, a unique form of art that involves embossing floral and geometric patterned objects layered with gold. Usta artists are known for their signature miniature paintings as well. If you happen to be in Bikaner in April, you can join in the Akka Teej celebrations. This was the day when Rao Bika laid the foundation of a new empire. The locals fly kites and enjoy special meals to mark the occasion. As for the climate, Bikaner’s a scorching and arid. It receives very little rainfall and sees extreme temperatures. In summer, temperatures shoot up to 50 °C and during the winter, they dip to freezing point! Junagad Fort – This is one of those rare forts which was never conquered! Built in 1593 by Raja Rai Singh, this fort is encircled by a moat. It houses many magnificent palaces like Anup Mahal, Ganga Niwas and Rang Mahal. All these palaces were made with red sandstone and marble. The many courtyards, balconies, kiosks add to their charm. The fort also has a temple called Har Mandir and a big museum. Laxmi Niwas Palace – This is the erstwhile residence of Maharaja Ganga Singh. It was designed by British architect Sir Samuel Jacob in 1902. Built in Indo-Saracenic style, this sandstone monument is one of the most popular destinations in Bikaner. Lalgarh Palace – Built over a long period (1902-1926), this stunning place draws upon Rajput, Mughal and European architectural styles. Maharaj Ganga Singh built it in the memory of his father. It is made of red sandstone and has several grand halls, lounges, cupolas and pavilions. Though the Bikaner Royal Family still lives in the palace, part of it has been converted to a luxury hotel. Camel Research Farm – This farm is about 8 kms away from Bikaner. This research and camel breeding centre is the only one of its kind in Asia. It is spread over 2000 acres and is managed by the Central Government. These camels are decorated in colourful finery and displayed in cattle fairs.